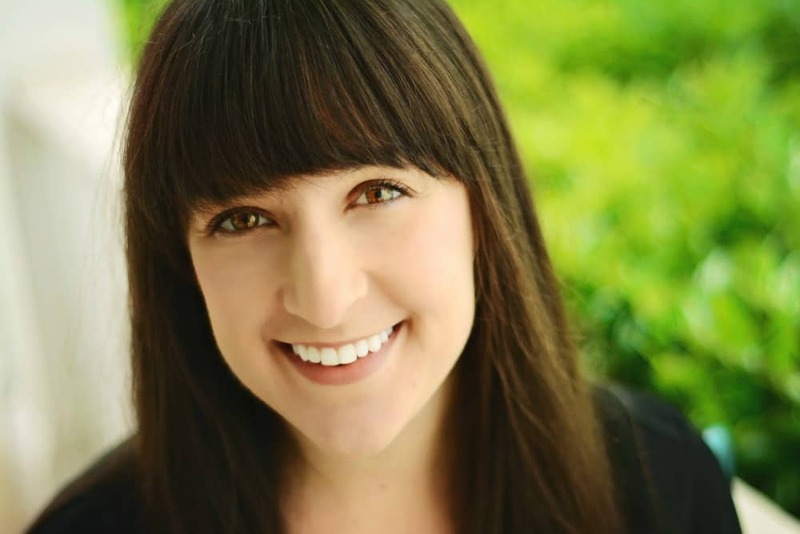 July 27, 2017 By Liz 14 Comments Note: This post may contain affiliate links. This is one of those recipes that’s so easy, I almost didn’t give it a blog post. 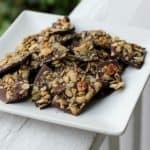 But I’ve been making this granola bark pretty frequently and it’s a delicious dessert if you love sweet and salty combinations, so I couldn’t resist sharing! 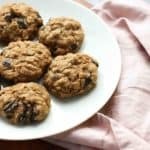 I recently made a batch for a 4th of July party and both kids and parents couldn’t stop snacking! 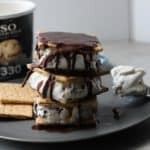 As an added bonus, you can make this dessert without having to heat up the oven or sweat over a stove, so it’s perfect for the insanely hot weather we’ve been having here in Richmond! You can really use any kind of granola for this but I don’t recommend using something with really large pieces. Toppings like whole almonds might not stick to the chocolate as well as smaller pieces do, so keep that in mind! You can also adjust the salt to your liking since it will depend on how salty your granola is. If your granola isn’t very salty, I like to add a pinch of sea salt on top. 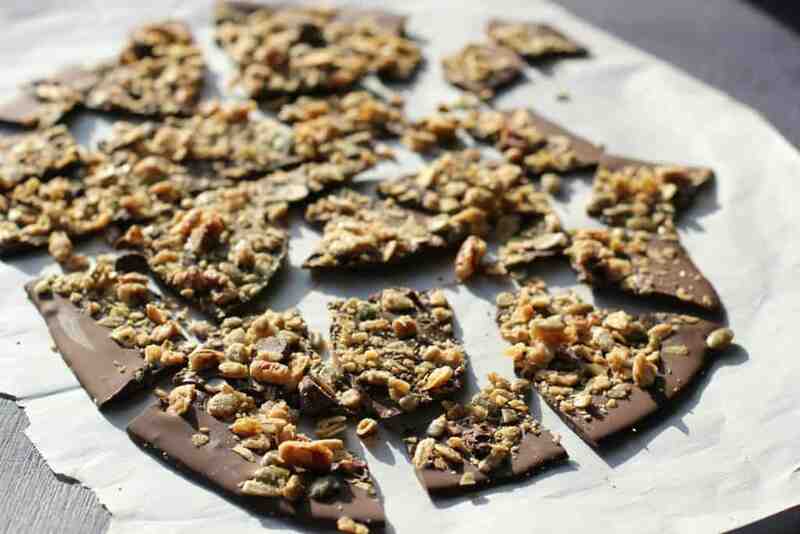 Make sure you store this granola bark in the fridge or freezer. It melts easily! 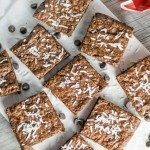 This chocolate granola bark is a quick and easy vegan dessert! Melt the chocolate chips in a microwave safe bowl by cooking on 50% power, stirring every 30 seconds until smooth. 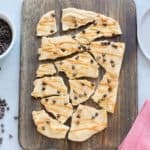 Pour the chocolate chips onto a sheet of wax paper. Crunch your granola up, if it’s the kind of granola that comes in big clusters. Top with coconut and salt. Gently press the toppings into the chocolate, (so they stick) and pop it in the fridge for 30 min. Crack into bite size pieces and spend the rest of the evening trying not to consume the whole plate. You can really use any kind of granola for this but I don’t recommend using something with large pieces. 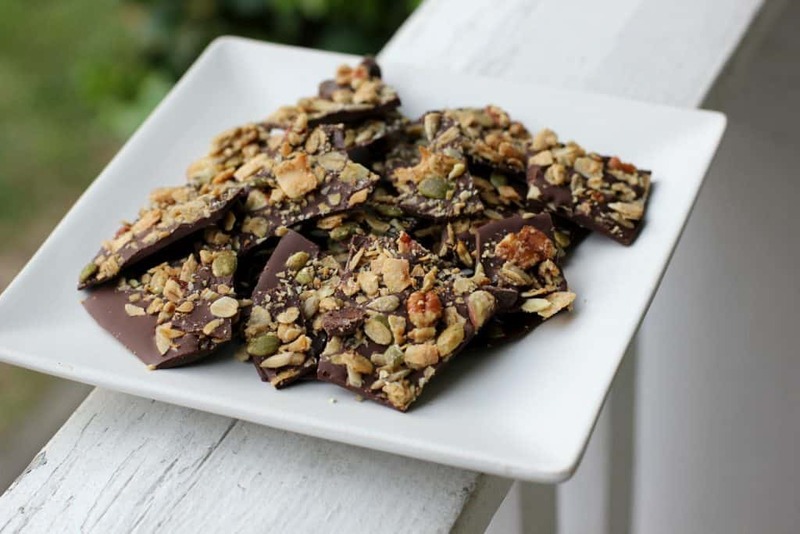 Toppings like whole almonds might not stick to the chocolate as well as smaller pieces do, so keep that in mind! You can also adjust the salt to your liking since it will depend on how salty your granola is. Also, you can skip the coconut if you don’t have any! For this particular batch, I used Hudson Henry’s Pecans & Chocolate. I’ve also made this with Love Grown’s Cocoa Goodness and Purely Elizabeth’s Ancient Grain Granola. Of course, you could even make your own! I love this coconut almond granola in this recipe since it’s nice and crunchy, but this chia granola would be great, too! You pretty much can’t go wrong, and that’s why this is one of my favorite recipes! I’d recommend keeping this in the freezer or fridge. It can melt rather quickly so don’t leave it out in the sun! I personally love using dark chocolate chips for this but if you’re more of a milk chocolate fan, that would be just fine! Make sure you’re using a high-quality chocolate though. It makes a difference! I might have to keep a stash of this in the freezer for when my nightly chocolate craving hits! What’s your favorite sweet + salty dessert combo? Simple and SO tasty–my kind of recipe! What a great idea! I love bark and I’ve never seen it with granola added. So many possibilities! This sounds amazing! No wonder your guest loved it! This looks like such a perfect no bake snack for summer time Liz! I love that you gave it a blog post. This sounds amazing! Thank you for making it into a blog post. I look forward to trying this as soon as I’m cleared from my soft diet. This is just perfect for a “little something sweet” after dinner! Love it! Great recipe but technically its 35 minute bark….so now I have to wait! (Just kidding). This looks so easy and tasty! Hahahaha true!!! 5 minutes of work and 30 min of patience required! 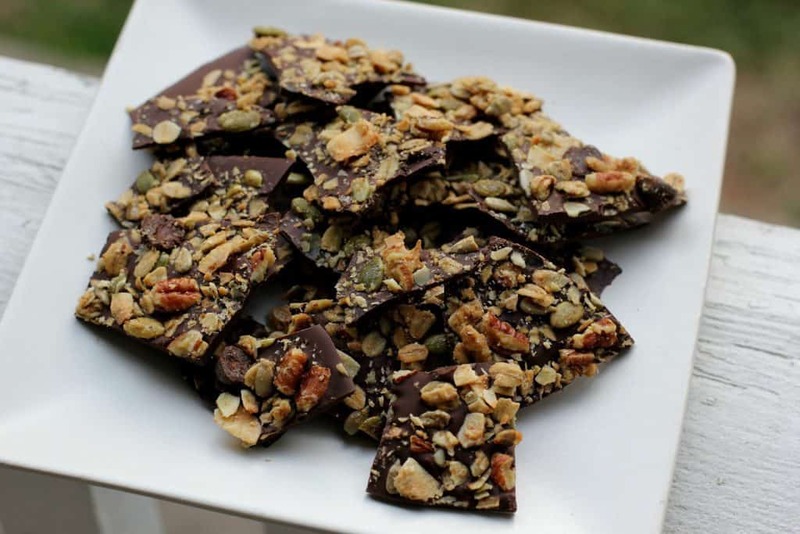 Yum, this a fun alternative to the almond bark I usually crave around Christmas. Thanks for posting this easy little surprise I’m going to have to make for my boyfriend soon. Yum!